Rotary Club International donated 15 cycles to our children under the "Wish tree" project. Krishna Tejaswi, a TV artist and software engineer with Tech Mahindra celebrated her Birthday with our kids. Subhiksha Voluntary Organization, a non-governmental development organization founded in 2009. As an organization, we work in areas of education, health, empowerment of girl children and disaster management. We are registered under the Societies Act with a mission to empower masses through education. Children’s education, therefore, occupies centre stage of Subhiksha’s agenda. We are working with children, aged six to fourteen, who come from poor families and are forced to work as beggars on trains or rag pick along with the rest of their family. 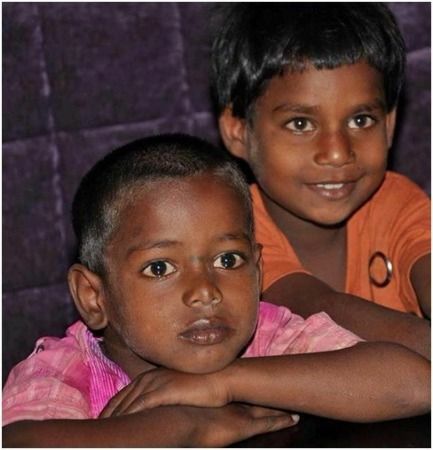 We offer these underprivileged children an alternative to begging by providing them food, basic education, health checks, and a safe place to spend their day. Our hope is to provide these children with the necessary skills to overcome the chain of begging and empower them to create viable futures for themselves. We are imparting education according to their age and level with NIOS curriculum (Open Basic Education Programme) of CBSE Board, Noida. We are runnig a full fledged school and also a residential care centre in which the component of vocational training to be included for these children. Our idea is to divert them from begging profession and integrate them in to the fold of education thereby creating the process of decent and dignified life.